Wynand Malan was born in Port Elizabeth on 25 May 1943. His family moved to Johannesburg shortly afterwards, where Malan grew up. He matriculated in 1960 and attended the University of Pretoria, graduating in 1963 with a BA Law degree. He was awarded his LLB in 1965. Malan did not involve himself in student politics. In 1973 Malan assisted in the formation of the branch of the Jeugbond (the National Party's youth movement) and was elected leader of the Transvaal Jeugbond. In 1975 he was elected chairman of the divisional committee of the National Party (NP) in Randburg. He stood for the Randburg seat in the 1977 elections and won it from the Progressive Federal Party (PFP). He worked as a partner in his father's legal firm in Johannesburg until 1977 when he became a Member of Parliament. In January 1987 Malan resigned from the NP, following the announcement of the May election, as his ideology had shifted to the view of a South Africa with equal rights for all. He stood as an independent in the elections and won his seat. In 1987, the National Democratic Movement (NDM) was formed with Malan as leader and with former members of the PFP in the leadership committee. 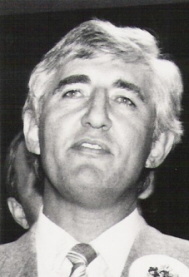 Malan was elected NDM leader at the national conference in 1988. Pressure for the creation of a unified liberal parliamentary party led to talks between the NDM, PFP and the Independent Party. The Democratic Party (DP) was formed in 1989, with Malan as co-leader, along with Denis Worrall (Independent Party) and Zach de Beer (PFP). Malan resigned as an MP and as co-leader of the DP in 1990. He served as a commissioner on the Truth & Reconciliation Commission. Source: Shelagh Gastrow, 1990. Who's who in South African Politics, Number 3. Johannesburg: Ravan Press.